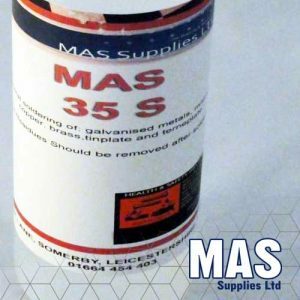 MAS Solder Paste is used in the process of soft soldering. 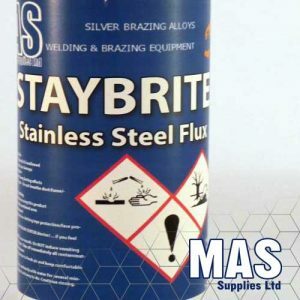 It can be used for copper to copper joints or copper to brass joints, the paste contains flux so is self-fluxing. 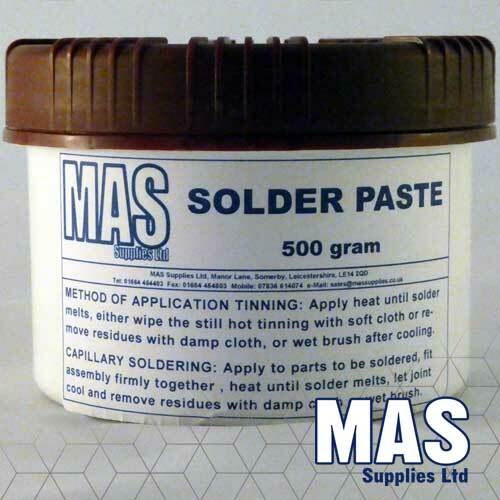 MAS Solder Paste can be used for capillary soldering or used in a method of application tinning. For the latter the paste must be heated until the solder melts, then either wipe the still hot tinning with a soft cloth or remove the residues with a damp cloth, or a wet brush after cooling. With capillary soldering the paste must be applied to all parts being soldered, fitting the assembly firmly together. The solder is then heated until it melts, before letting the joint cool and then removing the resides with a damp cloth or wet brush.